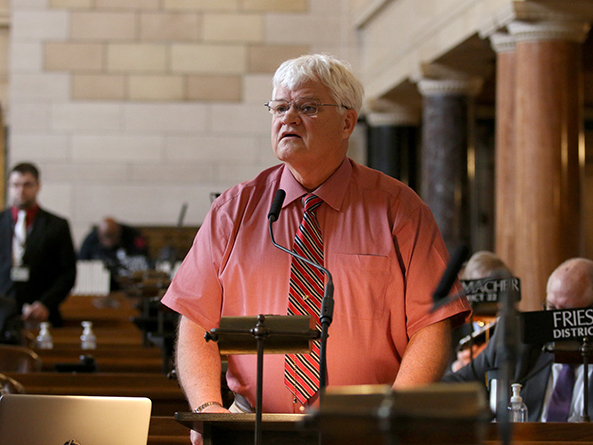 As introduced last session by North Platte Sen. Mike Groene, LB640 would decrease the maximum levy for school districts and direct money in the state’s property tax credit cash fund—which is funded by state income and sales taxes—to increase state aid to districts that lose money as a result. Because of the dramatic increase in agricultural land valuations over the past decade, Groene said, more than 170 of the state’s 244 school districts receive no equalization aid, which is state aid intended to cover the needs of school districts that cannot be met by other resources, such as property taxes. LB640 would direct more state aid to those unequalized districts, Groene said, reducing their reliance on property taxes. The bill also would reduce property tax bills for those living in equalized districts by reducing the maximum levy, he added. A pending Revenue Committee amendment would replace the bill, reducing the maximum levy for school districts from $1.05 per $100 of taxable valuation of property in a district to 98.7 cents per $100. Groene introduced an amendment, adopted 25-8, that replaced the committee amendment. It would decrease the maximum levy by the same amount beginning in fiscal year 2019-20 but would use the entire $224 million in the state’s property tax credit fund for school aid. Groene said the amendment also would allow the property tax credit fund to grow along with increases in state aid required by the state’s school funding formula. A district could qualify for the property tax relief aid if its property tax receipts exceed 55 percent of its total revenue. A school district that receives property tax relief aid would decrease the amount of property taxes it collects by the same amount. The bill would calculate a school district’s “property tax gap” by subtracting 55 percent of its total general fund revenue from the school’s general fund property tax receipts. A district would receive 75 percent of that gap in property tax relief aid from the state. A two-thirds majority vote of a district’s school board would be required to access the remaining 25 percent of the gap. School districts that do not qualify for property tax relief aid could receive an option enrollment relief correction of 6.3 cents per $100 of valuation if their net option funding is greater than 90 percent of the preliminary state aid calculated for the district. Sen. Lou Ann Linehan of Elkhorn supported the bill, saying that it would provide additional state aid to most school districts. Even many equalized districts in metro areas would see an increase in state aid under LB640, she said. 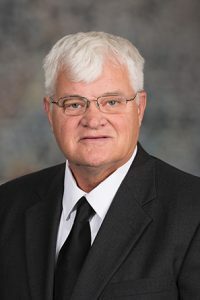 Lincoln Sen. Roy Baker opposed the bill and filed a motion to bracket it, which effectively would end debate on the proposal for this session. Baker said that many school districts across the state would not receive the proposed property tax relief aid because their property tax receipts do not exceed 55 percent of their general fund revenue. Baker also questioned whether school districts could count on the state to fulfill its obligations under LB640. The Legislature adjourned for the day before voting on the committee amendment or the bill. Per a practice implemented last year by Speaker Jim Scheer, the sponsor of a bill that is facing a potential filibuster must demonstrate sufficient support for a cloture motion before the measure will be scheduled for additional debate.